What is the currency forecast by Easter? 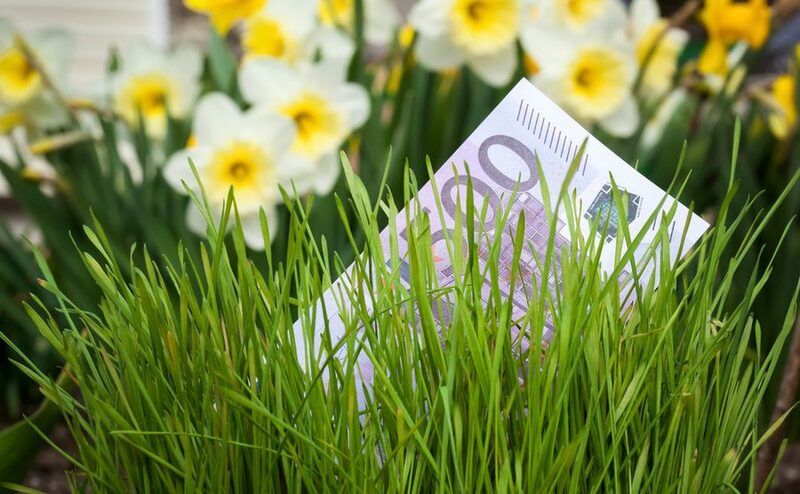 Home » Currency 101 » Where will the pound be by Easter? Whether you’re at the sharp end of your property buying journey and about to make an offer, or are still just wondering what you might get for your money abroad, you’ll be interested in our currency forecasts. They cover the short term to April and beyond to next January, both against the euro and the US dollar. But can they be trusted? It’s the question we are most often asked at property events (such as Your Overseas Home, the first of which is just a month away). What is going to happen to the euro or dollar six months from now? We have to hold our hands up – we don’t know and neither does anyone else! But it’s only natural to wonder, and there are some very well-paid analysts in the financial capitals of the world trying to work it out. So what do they say? We have taken the forecasts from organisations like Barclays, JP Morgan, ANZ Bank, Lloyds, Danske Bank and others to create an overview. You can download the full currency forecast report here, including which financial institution predicts what. If nothing else it will highlight how important it is to consider what might happen to the value of your pounds, and how to protect your property buying budget. This is especially true for this quarter, given how much is up in the air with regards to the Brexit negotiations, even at this late stage. Add in the persistent unreliability of Donald Trump with a trade war with China and potential trouble with Venezuela to think about. The Eurozone has its own problems, with its economies performing poorly and protests in France. But while forecasts make for interesting reading, but they can be very dangerous if you make a decision based on them that turns out to be wrong. Take the next three months for instance. There is a 23-cent difference between the minimum and maximum GBP/EUR rate predictions. If sterling weakened that far during the property buying process, could you make up the shortfall? That is £17,000 extra you would have to find on a £100,000 purchase. If you could, then good luck to you! Not all UK buyers could, by any means, potentially meaning they would lose their sales deposit and walk away empty handed. That is why we believe the best approach is to find a solution to control the risk that is within your own control. For example, a Forward Contract secures your exchange rate for the year ahead (on payment of a small deposit). We advise taking out a Forward Contract as soon as you decide you are hoing to buy this year. So where are we with the year ahead? The GBP/EUR forecasts are for a high of €1.282 or a low of €1.0526 per £1 by April 2019. For GBP/USD between $1.22 and $1.59 by April. At the time of writing any possibility from staying in the EU, to leaving without a deal, is possible. There is even a stronger possibility that a General Election will happen in early summer. The last referendum caused a long-term 18% drop in the pound’s value, and the last election a 10% dip. UK retailers suffered their worst December for ten years in 2018 and the autumn’s three months GDP growth rate was the slowest in six months. Brexit uncertainty is weighing heavily on the market and it is extremely difficult to predict what will happen over the coming months. We expect that the current pressure on the UK economy will continue for the time being. But if a path can be navigated through Brexit, then the resultant certainty should be a huge boost, at least in the short-term. There are so many unknowns at present and we do not envy policymakers. If the value of the pound significantly drops in the next few months, inflation will rocket and the Bank of England might be forced to hike rates to keep inflation under control. While it looks as if Germany has narrowly avoided a recession, recent data shows that the eurozone’s largest economy posted its weakest growth for five years in 2018. Italy is also flirting with a technical recession, yet with interest rates at 0% there is little for the economy to fall back on. The ECB remained surprisingly upbeat about the eurozone’s economy in its December meeting minutes. While policymakers acknowledged that the economy weakened in the second half of 2018, they said this was down to one-off factors and a simple loss of momentum. After ten years of external financial help, Greece finally exited its third bailout programme last August. Just when the dust was settling and the country could look forward to a fresh start came another crisis. The decades-long dispute over Macedonia’s name has reared its head once more. Last year, Greek PM Tsipras agreed a deal with the Macedonian government, which would see the country change its name to the Republic of North Macedonia. Greece would then lift its objections to it joining organisations such as NATO or the EU. The result has been big demonstrations and ministerial resignations. This fresh turmoil plunges the Greek government into crisis and it remains to be seen what the eventual outcome will be. 2019 could be a big year for the Fed. Unlike its British and European counterparts, America’s central bank hiked rates four times in 2018 and it looked as if further hikes were to come. Recent comments made by policymakers reveal that this is not necessarily the case, with some reluctant to hike rates owing to a lack of inflationary pressures, and a general feeling that there could be an economic slowdown in the coming months. For the first time in a while, Trump is not the main focus in the US for this quarter. The government shutdown may be over, but the Venezuela crisis has simply replaced it as a destabilising factor in the region. As long as he is president, the US dollar – and all those currencies linked to it – will only ever be a tweet away from volatility. The US and China have been engaged in talks with a view to negotiating a trade deal. Trump recently spoke to reporters in Washington and predicted that both countries would soon reach a deal to end the trade war. The effects of the trade tariffs have affected countries around the world and so it will be hoped that there is a breakthrough before long.